I feel most at home at my mom and dad's house. Every time I go there, I never want to leave! I only hope my own kids will feel the same when they're my age. My best friend's house is definitely a Welcome Home place. Her door is always warmly open and although her kids are on their own, they are still a delight to see if we cross paths. Besides, how many people have a best friend that they have never lived in the same town with?! ....and i follow Shabby Fabrics on Instagram as well as subscribe to their newsletter. They have such beautiful fabrics to choose from!! My favorite place is wherever my husband is. He is home to me. Home is Franklin, pa. We have 3 of hubby's brothers nearby, and 3 of my sisters also. I always feel home when I go back to the farm I grew up on in Iowa. 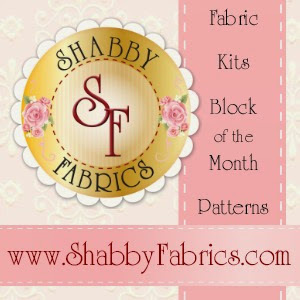 I receive Shabby Fabrics newsletter and follow their blog. I love going home to Lambeau Field and watching a football game there! The house that I have been living in since I was 4 years old for 55 years now says "Welcome Home" to me. I love being at home, but my Welcome Home place is my friend's home near a Lake Michigan beach. The door is always open and the food is fantastic. I'm a homebody, and for me Welcome Home happens every time I enter my house, because all my fur babies run to greet me. The next place is somewhere I don't get to visit as often and that is North Carolina, where my dad's family lives. When ever I visit it is like a big party and lots and lots of hugs. It didn't take me long to find a favorite item at the shop. I love the Welcome Home in Spring Traditional applique BOM. My favorite Welcome Home is truly when I welcome home my children, their spouses and children. Life doesn't get better than that. 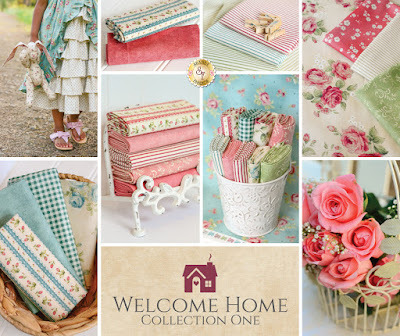 I already get the Shabby newsletter and have been admiring the Welcome Home One collection, particularly the fabric with the pink roses on the ivory background. Sigh. It's just beautiful. Home is where my hubby is , so right here. I live in the SF bay area, and coming home to our house is always a pleasure! I follow Shabby Fabrics on FB! FOLLOW SHABBY FABRICS VIA GMAIL! HOME IS WHERE MY HUSBAND IS! THANKS FOR SHARING A SWEET GIVEAWAY! I love going to our timeshare in Kauaii. I get that aloha spirit and welcome home feeling. Home is where My Family is! Thank you for sharing with us! I am following Shabby Fabric blog! I follow Shabby Fabrics already, I love the rose prints and most of their fabrics. I love you too. My favorite place to come home to is my Aunt Tina house, in Ky. It's been many years since I have been there. Home is Deer River in upstate NY . . . with family on the lake or around the campfire! Welcome Valley Village in Benton, TN is "Welcome Home" to me. My extended family has been going there for almost 20 years for our family reunion. As I turn in the driveway I whisper to myself, "Welcome home." The family farm in Iowa is my "Welcome Home" place! we go to the beach to a rental house, but we love it there so much we just feel at "home". I've spent a lot of time living by the ocean so the salt air feels like welcome home to me. I follow Shabby Fabrics on FB. Thanks for a great giveaway. I lived I Wisconsin for years and it was Home to me so anytime I go there that familiar Welcome Home feeling comes over me. I subscribe to Shabby Fabrics newsletter. My favorite place is where I grew up - Minnesota. We recently took a four day trip. I was so glad to return home to my bed, cats and my home smells. My 'welcome home' is where we live now. This city, Kamloops, BC, surprised me when we moved here 8 years ago. It's a wonderful place to bring up our kids. I also love that our house suits us perfectly and I have my own sewing room! I follow Shabby Fabrics on Pinterest (lindaarkade) and subscribe to their newsletter. Home is where my mom and dad are. They no longer live in the house I grew up in but the feeling of being at home is when I'm with them. As a transplant from Idaho to the Washington west Coast of 40+ years this is home....but a trip back to Lewiston Idaho and I realize that the rolling hills of gold and purple with scrub brush and rock, the snake river below them will always feel like being really home. A feeling of comfort and safety that those hills provided is deep in my memory.❣ Thank you for another great give away and for a moment to think about a childhood long gone. I'm a California girl, born and raised, so anywhere in Cali is home. I'm lucky enough to have my children and grandchildren all within 6 miles of me. That's a hard one - upstate New York, Southern Alabama, Western California, and western Tennessee all hold a special place in my heart for stitching. Thanks. For me, home has always meant the Catskills and a little village called West Shokan. I follow Shabby Fabrics on Facebook! Guess my welcome home is my current house, where I have lived for 26 years and raised my family. Not that I go away very often, but upon my return it really is home. I follow Shabby on FB and by email newsletter. 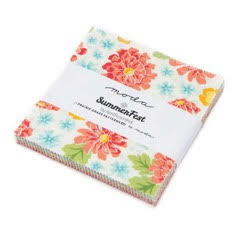 I follow Shabby Fabrics by email newsletter. I feel "Welcome Home" in two parts of Pennsylvania... the western end of the state around Pittsburgh, and the eastern end around Lancaster and Philly . My Welcome Home place other than where I live now was my Grandparents small farm on my Mom's side. We would spend one or two weeks with them after school let out and it was an oasis away from home. Alas, the property is up for sale now and I wish I was well-off enough to purchase it. My home, especially my first floor, is where I feel most "at home". Thanks for the chance to win! My favorite place to be is the home I live in now - a rustic cabin on a small lake in Alberta. Love living here. Thanks! I follow Shabby Fabrics on Bloglovin. Thanks! Right now I am visiting my Son and Grandkids in Texas, so this is "home" for a few weeks. It will be sad to have to leave and go to my real home, as they are a joy to be around, but a little bit of my heart will stay here with them. I love to sit on my back porch on a summer evening. If I've been away, to sit and relax there is how I know I am home. I follow their blog via feedly. Loving those laser cuts year long pillow applique. What a fun project. I love to be home. It's my fave place with all my fave things: my husband, my kitties and my fabric! I love Shabby Fabrics and already purchase fabric and kits from them on a regular basis! I love how you can get kits with the applique already laser cut and ready to iron on. So freakin' awesome! I follow many ways: email, facebook, youtube to name a few. Going home would be back to my sister's old homestead close to where I grew up. As a child we would go there and stay with my sister--she was married and several years older than I was. Today, the four sisters still gather there when we get together. I follow on Facebook and by email Newsletter. Home to me is wherever my husband is!! I love where we live right now. Big enough for the whole family and friends to gather. Close to town, yet close to the country. We have wonderful neighbors - so special! I already follow Shabby fabrics and love seeing all their new fabrics and laser-cut appliques. A favorite fabric from there is 'High Tea' from 'Quilting in the Rain'. 'Welcome Home Series' is another favorite. Thank you for this giveaway chance. Home is the house I've lived in over half my life with my husband (and later our boys). I visited Shabby Fabrics. Their A Year in Words Pillows are so much fun! I feel a piece of my hear in Kenya... that's where I would LOVE to go home to every day!!! I always love going to Montana, anytime of the year. Thank goodness my daughter still lives there. I just went a few months back I am due again. 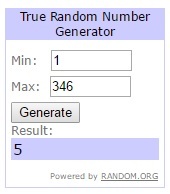 Thank you for the lovely giveaway! I follow Shabby fabrics via e-mail, You tube and Facebook. So much inspiration. Thank you for the lovely giveaway. Seattle is my home - and I love it! home is wherever my kids are and grandkids. I follow Shabby Fabrics on Instagram and also get their newsletter. I follow Shabby Fabrics via E-mail. My welcome Home place is on the farm where we have now settled and plan to stay, if God allows. Melissa I forgot to thank you for all the opportunities you have made available to win such lovely prizes. My home in the country (18 acres) is my welcome home! My husband is home for me. Wherever he is I am most content. I get SF newsletter and follow on YouTube. Home is just about any kitchen where I can smell butter in the griddle. It reminds me of my grandmother. I love my home - we've lived here for 30 years and all my children were born here! Since my parents are no longer living, the home my hubby and I currently live in is where I feel at home. The place I live now is the most "home" I have ever been! I follow Shabby Fabrics on Facebook and instagram and also get their blog updates. I love being at our family beach house with my sewing machine set up in the family room. I get to be at the beach, sew when I want, without the usual stressors of daily life! Followed on Instagram and get email updates! Although I grew up in Wisconsin, home for more than half of my life now has been Ontario, Canada. So glad I settled here! My Welcome Home place is right here in my own home. I fell in love with it from the moment we first walked in 35 years ago, and having my kids and family here makes it perfect. I follow Shabby Fabrics through the blog and newsletter. My favorite Welcome Home place is our current home (where we've lived since 1978) but it's during a different time----it was when all three of our girls were home. Now that they are all grown, with homes of their own, my nest is empty...momma bird misses them. I follow Shabby Fabrics via email. "Shabby Chic" is my favorite decorating style. My favorite welcome home is right where I'm at. No designer house, but it's where we have the most memories with our children and now grandchildren. "Home" town is Ashton, Idaho, but my parents left there after I went to college, so I've struggled to really have a home...I guess I'd say here at my house - in my room - in my bed - mmm feels so good! :) When I was young, I loved to go to my paternal grandmas house---it was an apartment in Malad--the cutest apartment you'd find in another little Idaho town. Thanks! always where I grew up in Michana is my Welcome Home place. Detroit is my Welcome Home! I love their laser cut kits in their shop - I love The Back Door Wall Hangings - especially Be Thankful! We moved a year ago and our new house is a HOME, love it, and a great garden! My Home is my favourite "Welcome Home" as I have an apartment in my daughter's home and my living room, kitchen & sewing space with my long arm machine is all in one large area,and just seeing my sewing section makes me smile after being away or out. Growing up, as an Air Force child, home was wherever my family and my stuff was. I also always felt welcome in my grandparents' home...every summer, all the cousins would take turns spending a week or two in groups at their home. Their home looked out at the beautiful Manti LDS Temple, and my grandparents helped nurture my faith and testimony of my Heavely Father and his holy house on earth. Thanks for introducing me to Shabby Fabrics a few years ago. I like their FB, on Bloglovin, follow by email and Pinterest. Jennifer is great, congrats on her first collection! My "Welcome Home" was always at my parents home. Where I grew up. Now that they have passed my home is the "Welcome Home" place for my children. I show my "Shabby Fabric Love" by following them on FB, Pinterest and there blog. Love, love love this new line of fabric! Just gorgeous! Home is where I am right now. My grandparents farm welcomed me home. I follow Shabby Fabrics on YouTube, newsletter, blog and email. I follow Shabby Fabrics on Face Book. I love being welcomed home at my daughter's house. I even have my own room. Even though I have a house in AZ that I live in over the 6 month winters, I still feel like I'm coming "home" when I head north in May. I have two places that make me feel like I am home - Texarkana, Texas and Roseville, Michigan - and all around there and about. Is there a nicer newsletter than the one fro Shabby Fabrics? Doesn't it make your mouth water and your foot tap? Well then you get the blog and watch on FB, oh my! I spend much too much time looking instead of sewing with all I have purchased. Favorite vacation home place has to be the Outer Banks in NC. We used to vacation there when we lived in VA and I felt instantly relaxed as soon as my feet hit the sand when I stepped out of the car. I love Shabby Fabrics! I get their newsletter via email. Love the fabrics that they designed. Welcome Home to me is my own home. I love to go visit and share and love with my family, but coming home to my own place with my hubby, just the two of us. That's "home" to me now. As a child my Welcome Home was my grandma's house. Now it is where ever my husband and I are. I follow Shabby Fabrics on FB and get the newsletter. Well, I always say "home is where the mom is" so I always feel most welcome when I visit her, and she still lives in the home I grew up in! I already receive Shabby Fabrics email newsletter. Thanks for the opportunity to win! I felt most at home @ my house when we lived in WA. The 160 year old farmhouse that I share with my hubby is home. It is his family home and I love it with all of its quirks. India is always my home. I like this collection from Shabby Fabrics: "Miss Scarlet 8 FQ Set - Scarlet Set by Minick & Simpson for Moda Fabrics"
Wherever my parents are is my Welcome Home place. Like Shabby Fabrics on FB. I love going home to visit my mum. She still lives in the house I grew up in. I follow Shabby Fabrics youtube . I've lived in the same place for 25 years now, so this is definitely home! Thanks for this lovely giveaway! I follow Shabby Fabrics on Facebook. Thanks Shabby Fabrics! My welcome home spot is where I live now - we moved to SC 10 years ago and I just love it; it felt like home immediately! My spot is where I live now. We've been here for 22 years and it is home for me. Thanks for the chance to win. Like you fabrics. Honestly it's wherever my husband is. We've been together 18 years today (9 years married) and he's home. Doesn't matter if we're on the road or in our apartment or when we were house-watching for my parents - it was always home with him. Home is with my family, it's as simple as that!! It would have to be the Midwest town where we grew up. I follow Shabby Fabrics and receive their newsletters. I feel "Welcome Home" at my best friend's house near the lake. I even have a sewing machine that stays there.